40Amp 150V Input MPPT Solar Panel Charge Regulator DC 12V 24V 36V 48V for Flooded/ lead acid/ Gel / Lithium Battery - Shenzhen Sigineer Power CO.,LTD. 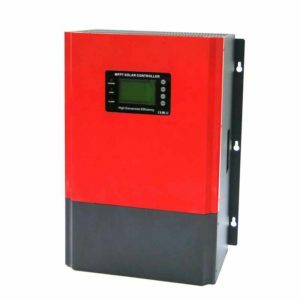 The SE150V40A solar charger controller features automatic battery voltage recognition from 12Vdc to 48vdc, wide PV input rang up to 150V, various battery charging algorithms, intelligent discharge control, RS232 / LAN communication function etc. Ultra Fast Maximum Power Point Tracking, conversion efficiency up to 99%. Maximum PV open circuit input voltage up to 150Vdc. Memory function to save the setting, date, time, power generation etc. .
Over Temperature Protection Cut off at 95℃ , from 85℃,decrease the output power by 3A per degree.